Came across this online and found it interesting…maybe a potential future Throwdown? I've never cooked SCA but it is intriguing to me. Only one afternoon commitments and a lot less equipment required. 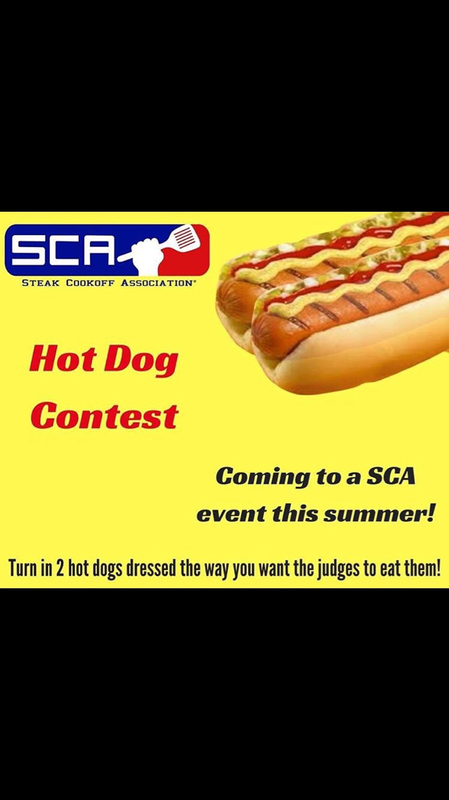 SCA must be struggling with events lol. Have cooked many SCA events ,this is one of the new side pots alongside the steak cook off. They usually rotate between, grilled apps, wings, 1 bite challenge, grilled cheese, and now the famed wiener. It is great getting to setup in the morning, and not worry about your meats. Steaks are provided. Usually top notch ribeyes! I make American hot dogs just like that here every now n then, my kids and grandys love them, lotsa onions cheese n mustard. Russ wrote: I make American hot dogs just like that here every now n then, my kids and grandys love them, lotsa onions cheese n mustard. We call them frankfurters not wieners,lol. Any way you say it, they go down a treat.